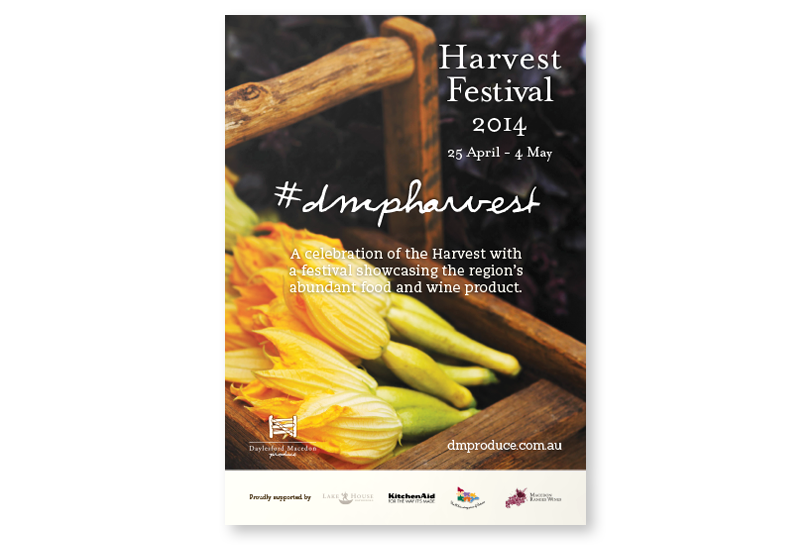 The Daylesford and Macedon Ranges Harvest Festival is a collaboration between the vignerons, cooks, restaurateurs, publicans, provedores, suppliers and growers of the Daylesford Macedon Ranges region. 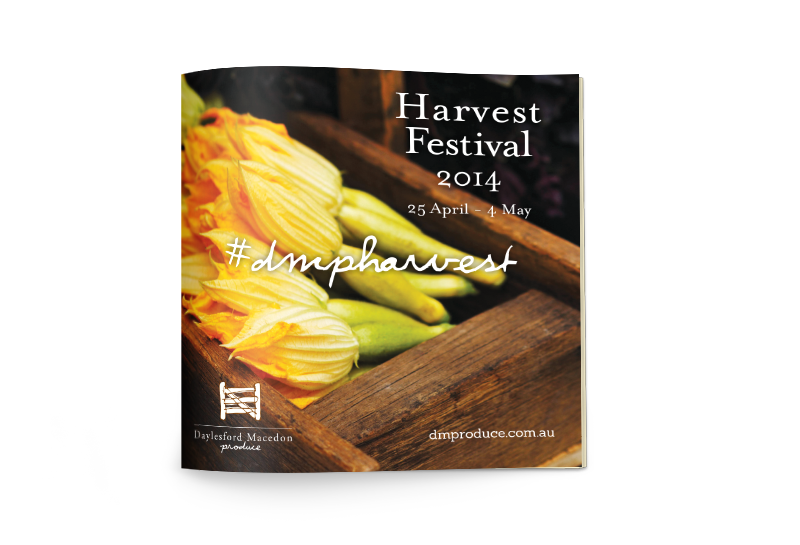 I created the branding and design for the Harvest Festival 2014, alongside the creative team at SeventyFour Design. The project involved creating the branding and design direction along with the Harvest Festival Guide, signage and posters. 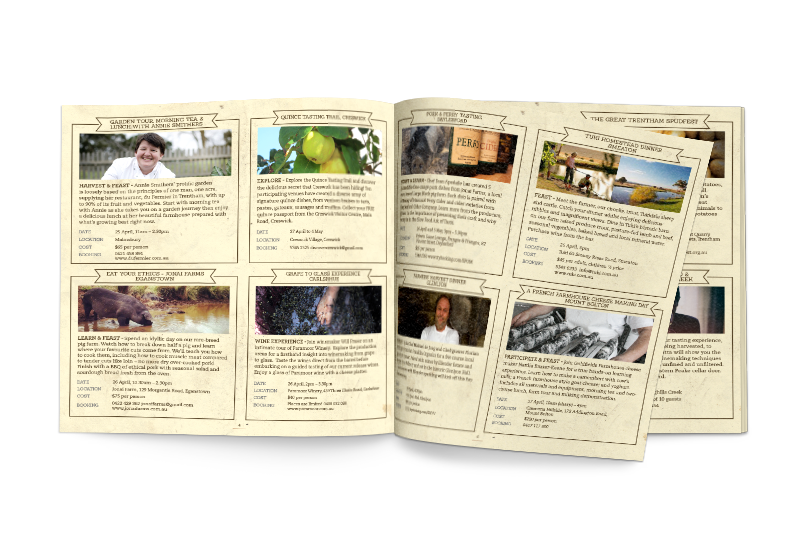 View the Harvest Festival guide online or download a copy here.